The Denver housing market held steady in October. Inventory slightly declined from the previous month; however, it is up significantly from when it bottomed out last December. While the market has cooled off from early summer, a strong economy and low unemployment continue to keep buyer interest high, even with interest rates up 1 percent from a year ago. · Days on market were up from the previous month for both DSF and ASF, increasing to 30 and 25 days, respectively. 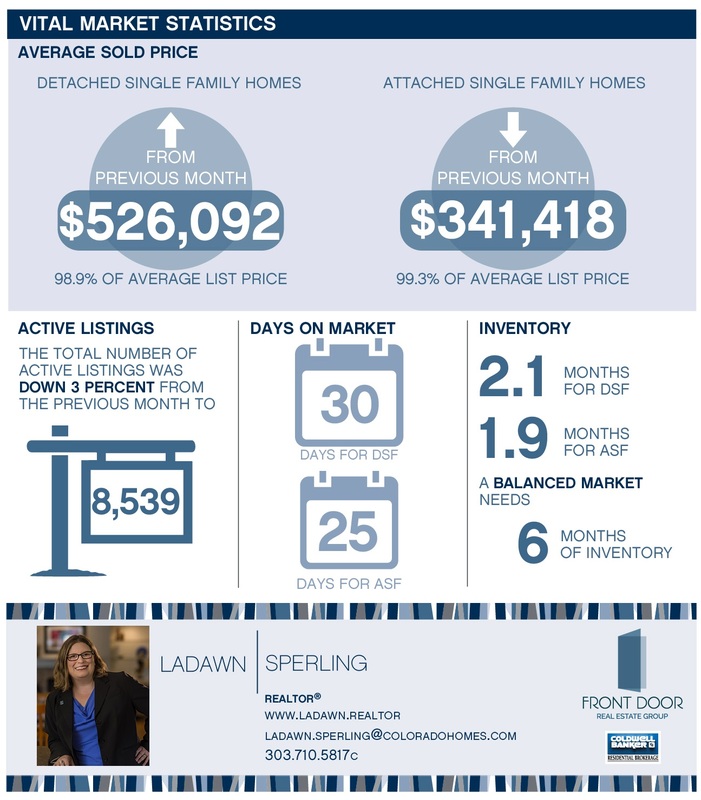 The current market shows promise for both buyers and sellers. An increase in sales volume and home prices favor sellers, while rising inventory and the threat of even higher interest rates in the near future are motivating factors for buyers. This update is based on information provided by the Denver Metro Association of Realtors® for the period of October 1, 2018, through October 31, 2018, for the following counties: Adams, Arapahoe, Boulder, Broomfield, Clear Creek, Denver, Douglas, Elbert, Gilpin, Jefferson and Park.